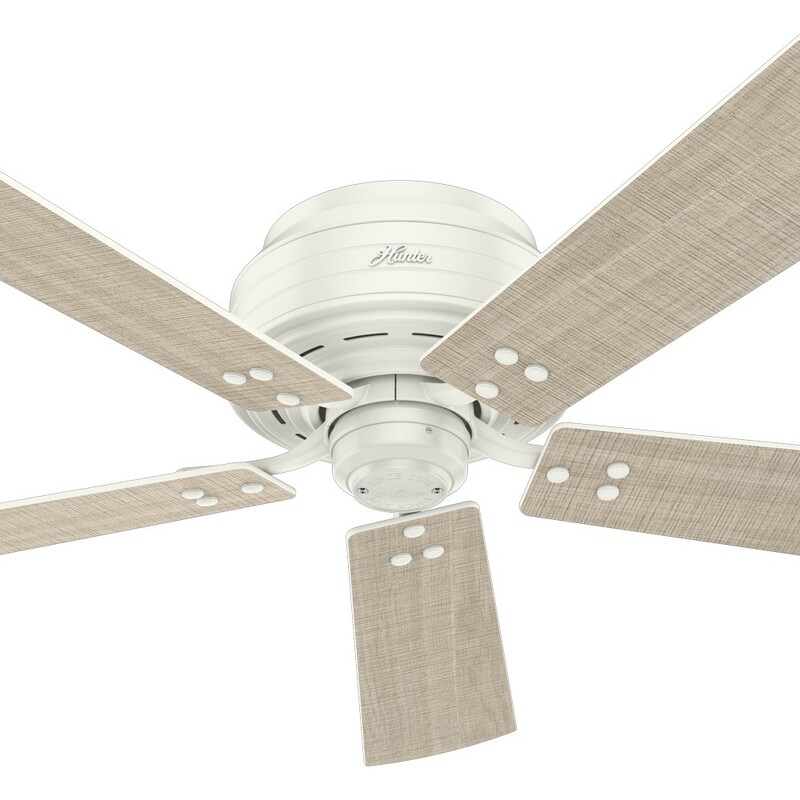 Low profile farmhouse style ceiling fan with remote control for outdoor use. The light kit features a shiny cased white globe with hand painted blue stripes for a coastal look. 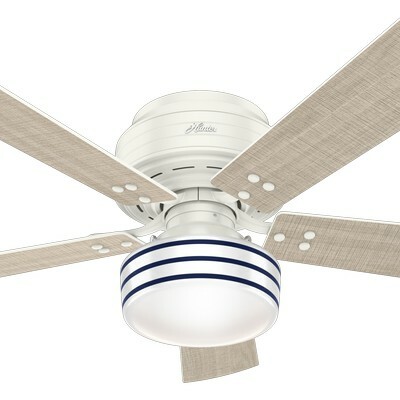 The fan can be installed without the globe. 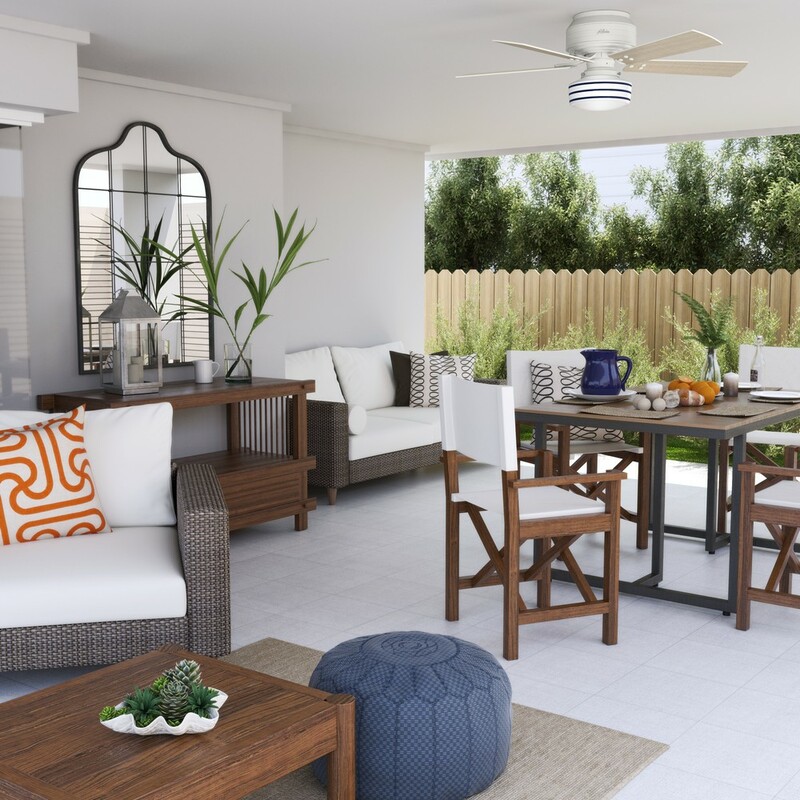 The stainless steel hardware is designed to resist rust. 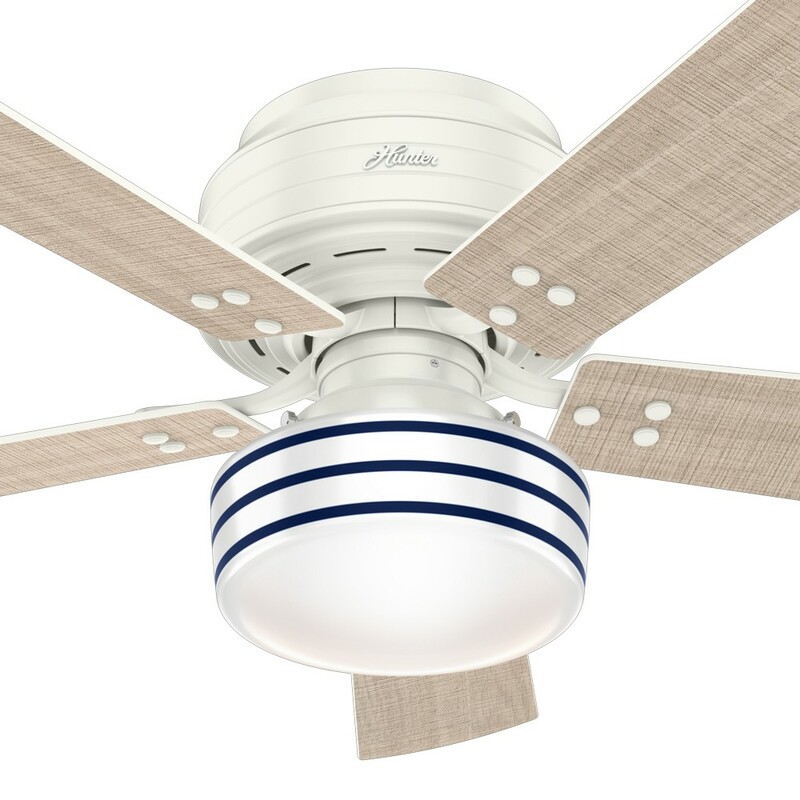 Limited Lifetime Motor Warranty is backed by the only company with over 125 years in the ceiling fan business. 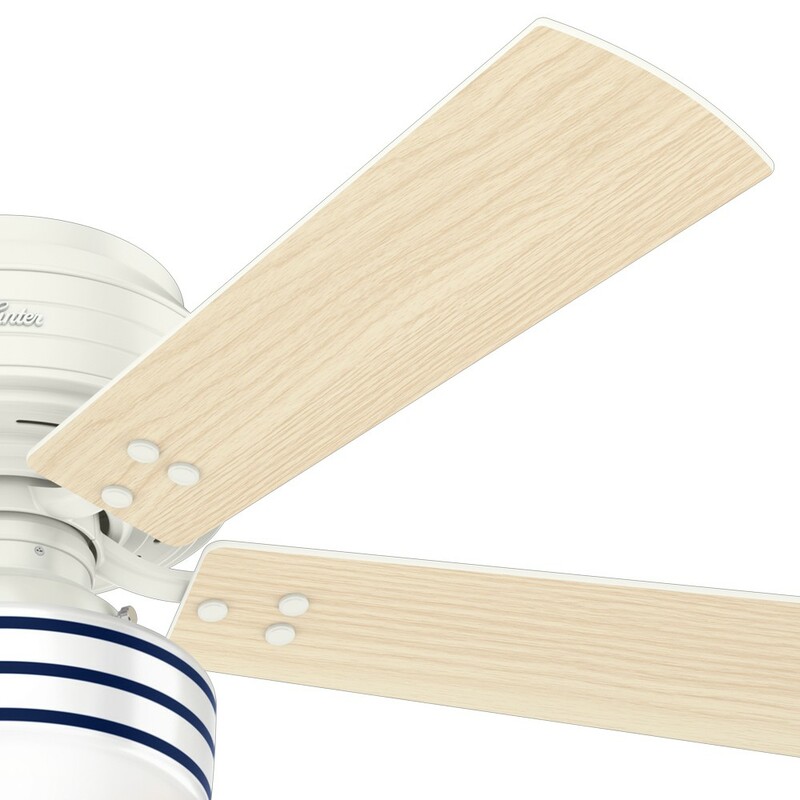 Designed with a 13 degree blade pitch to optimize ideal air movement and best performance. ETL Damp rated outdoor ceiling fan for use on covered patios.